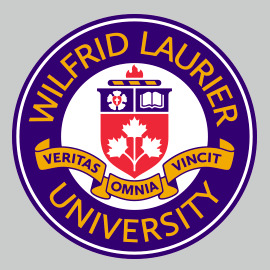 1.01 Wilfrid Laurier University is committed to the principles of transparency and the protection of privacy. The purpose of this policy is to provide guidance to those seeking information held by the University or who have concerns regarding how personal information is collected, used and disclosed. 1.02 This policy covers obligations with the collection, use, storage and disclosure of personal health information under the Ontario Personal Health Information Protection Act (PHIPA) and general personal information under the Ontario Freedom of Information and Protection of Privacy Act (FIPPA). 2.01 General Personal Information is defined as recorded information about an identifiable individual, including students, employees, alumni and donors. General Personal Information includes, but is not limited to, an individual’s ID number, personal e-mail address, cell phone number, grades and OneCard photo. 2.02 Personal Health Information is defined as recorded information about an identifiable individual relating to their physical or mental health. This includes, but is not limited to, an individual’s health history, health number or any payments for health care. b) any record that is capable of being produced from a machine readable record under the control of the University by means of computer hardware and software or any other information storage equipment and technical expertise normally used by the institution. 2.04 A Record under PHIPA means a record of information in any form or in any medium, whether in written, printed, photographic or electronic form or otherwise, but does not include a computer program or other mechanism that can produce a record. 3.01 This policy applies to all members of the University community who collect, use, store or disclose personal information on behalf of the University, including both General Personal Information under FIPPA and Personal Health Information under PHIPA. 3.02 All general personal information and personal health information collected by the University will be protected, whether the individual is a registered student or not. 3.03 This policy is not intended to restate the provisions of Ontario’s Freedom of Information and Protection of Privacy Act (FIPPA), Personal Health Information Protection Act (PHIPA) or any other access to information and protection of privacy statues and regulations that apply to the University. i) Where the University has records of a non-personal nature in its custody and control, access will be granted to the extent possible and in compliance with relevant legislation without compromising the integrity of the University and its community, or affecting its ability to operate. ii) Pursuant to relevant privacy legislation and subject to any provisions in the legislation, the University shall grant persons access to their own personal information. iii) Wherever possible and prudent, information of interest to the public and the University community will be posted on the University’s webpage (wlu.ca). This includes but is not limited to University policies, approved budget reports, approved audited financial statements, undergraduate and graduate student calendars, and student services information. iv) Those seeking assistance in accessing information within the custody and control of the University should direct their request to the University’s Privacy Office. Personal information is collected under the authority of the Wilfrid Laurier University Act. The university shall collect, record or disclose only such personal information as is either reasonably necessary to the proper administration of the University and its academic and other programs or is required by virtue of data collection or reporting requirements lawfully imposed upon the University. The University shall use personal information where the individual has identified that information and consented to its use, for the purpose for which it was obtained or compiled or for a consistent purpose, or in accordance with the relevant legislation. Unless otherwise noted when the information is collected, personal information is collected, used and disclosed in accordance with the University Notice of Collection and Examples of Use or Disclosure. Individuals have the right to request correction of their personal information where the individual believes there is an error or omission. Requests for correction should be submitted to the office holding the personal information. The University shall attach a statement of disagreement to the information reflecting any correction that was requested but not made. The University shall take reasonable precautions to protect the security of records containing personal information, shall retain such information only when necessary, and shall make reasonable arrangements for the disposal or destruction of such records when the information is no longer needed. iii) Those seeking assistance in accessing personal health information within the custody and control of the University should direct their request to the Wellness Centre Director. Personal health information is collected under the authority of the Wilfrid Laurier University Act. The Health Information Custodian shall collect, use or disclose personal health information about an individual only with consent of the individual or as permitted or required by law and only to the extent as is reasonably necessary or required by law. The University shall use personal health information where the individual has identified that information and consented to its use, for the purpose for which it was obtained or compiled or for a consistent purpose, or in accordance with the relevant legislation. Unless otherwise noted when the information is collected, personal health information is collected, used and disclosed in accordance with the Student Wellness Centre Privacy Statement. Individuals have the right to request correction of their personal health information where the individual believes the record is inaccurate or incomplete. Requests for correction should be submitted to the Health Information Custodian. The University shall attach a statement of disagreement to the information reflecting any correction that was requested but not made. The University shall take reasonable precautions to protect the security of records containing personal health information, shall retain such information as required by law and shall make reasonable arrangements for the disposal or destruction of such records when the information is no longer required to be retained. 4.05 The President and Vice-Chancellor of the University is considered the ‘head of the institution’ or individual responsible for compliance with the requirements of FIPPA. As allowed under FIPPA, the University Secretary and General Counsel has been delegated responsibility for the oversight of access to information and privacy matters at the University. 4.06 The Wellness Centre Director is the ‘health information custodian’ or individual responsible for custody or control of personal health information at the University and has responsibility for the oversight of access to personal health information.